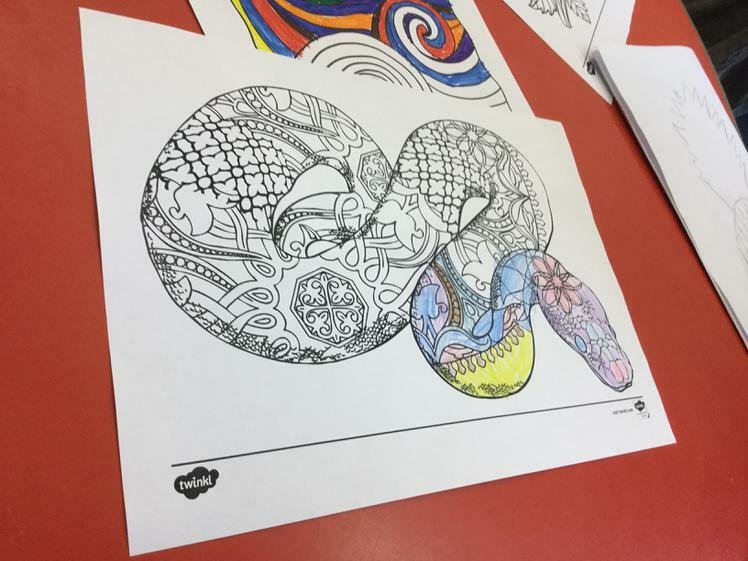 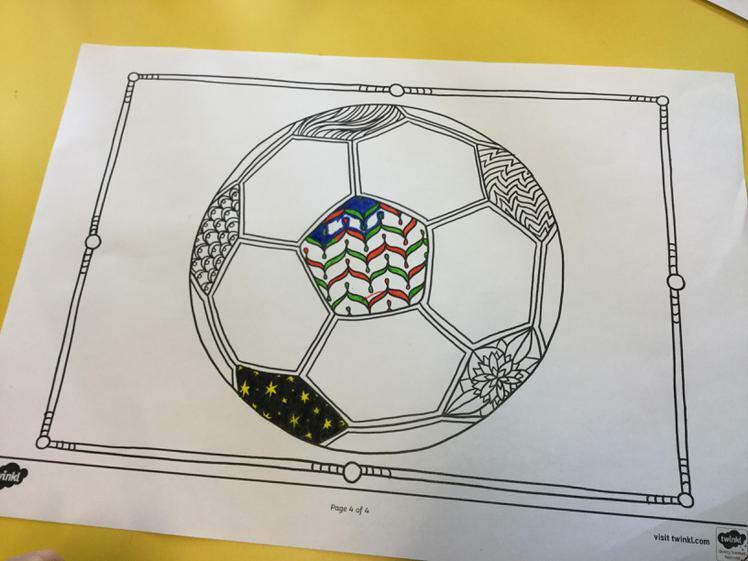 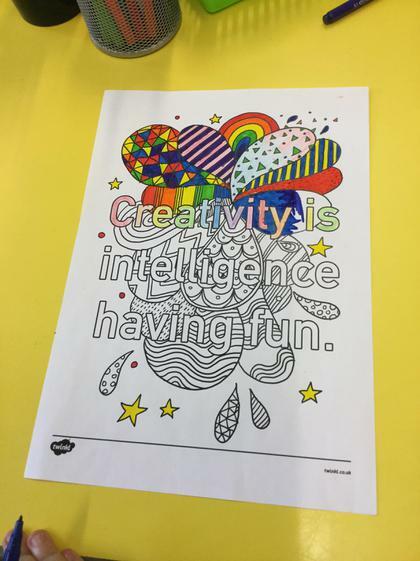 Colouring Mindfulness is all about calming yourself down,relaxing and designing patterns! 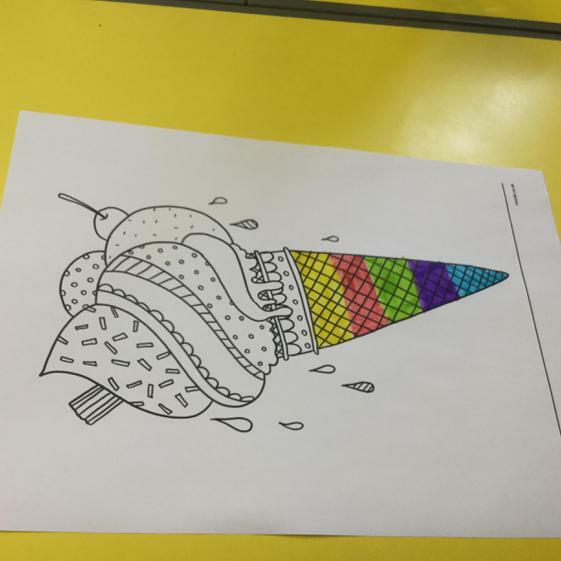 Here are some pictures of the masterpieces made from the artists! 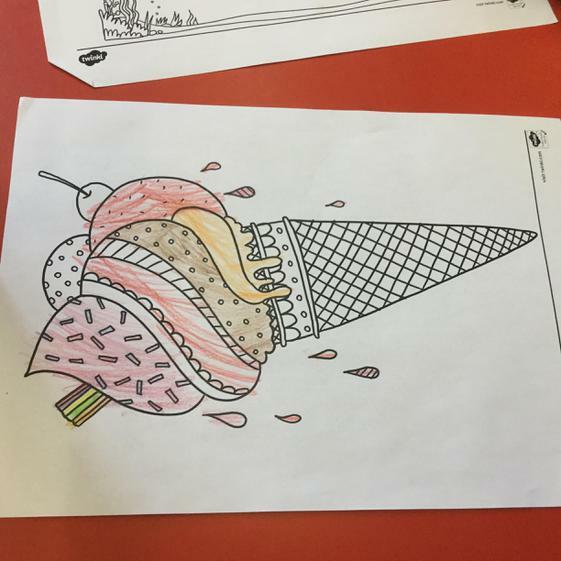 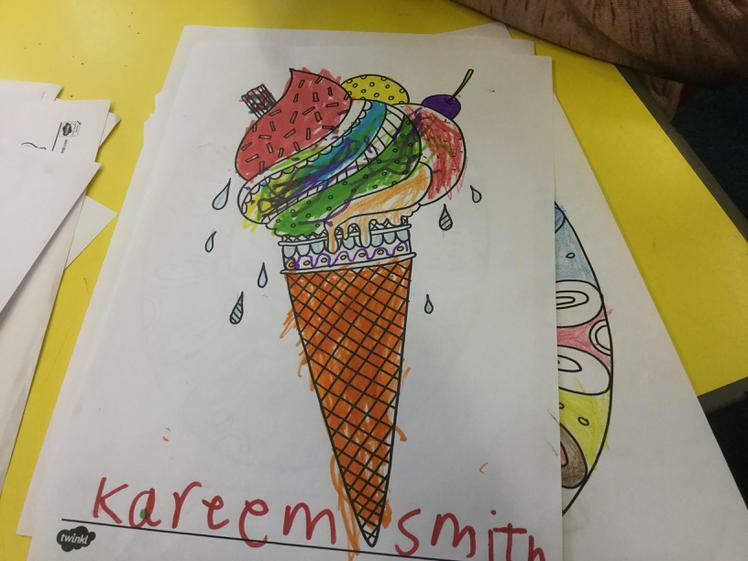 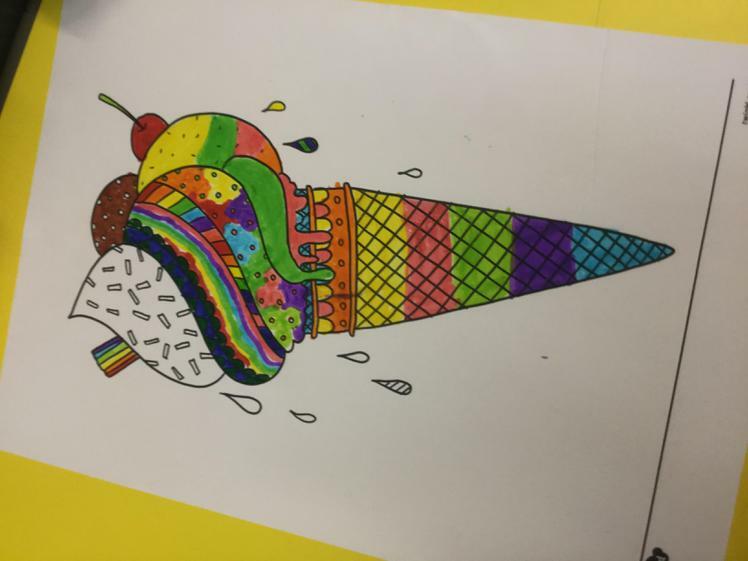 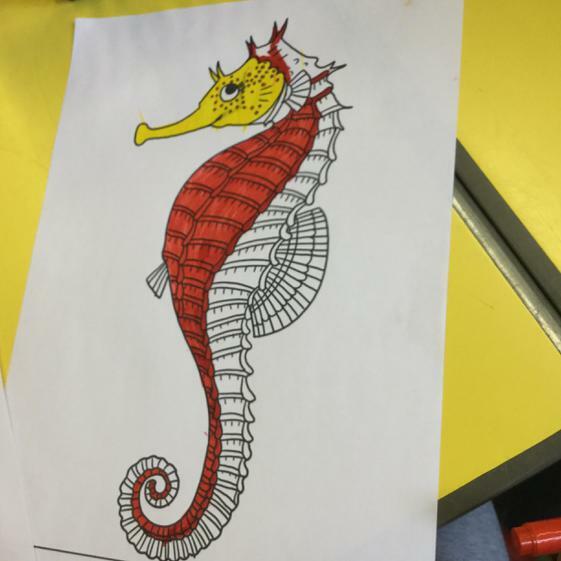 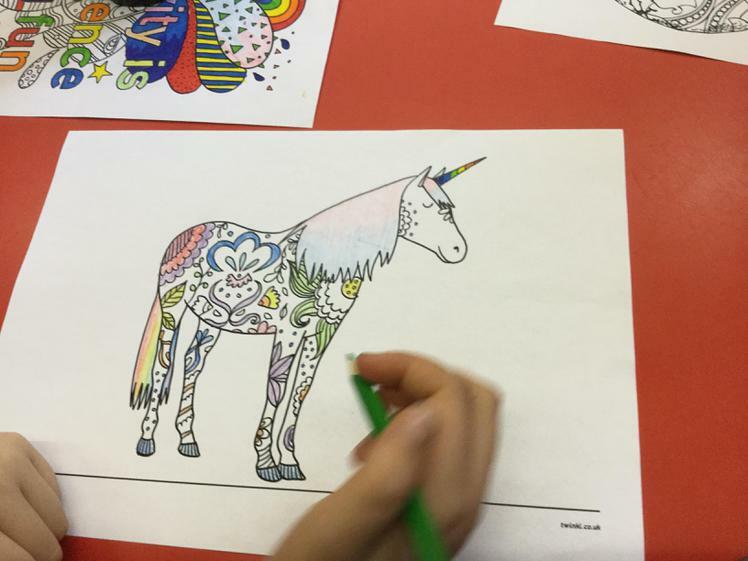 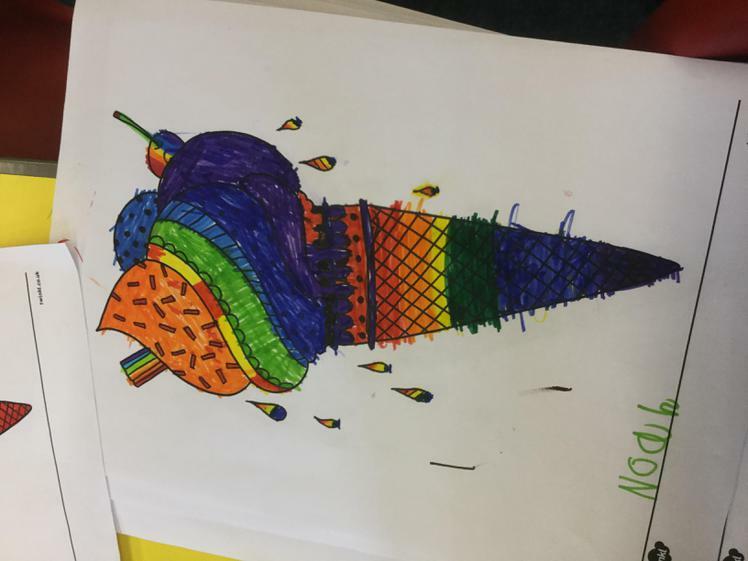 This week the children have chosen lots of different pictures which they have coloured in with felts,coloured pencils and crayons.We enjoyed watching the children design icecreams,footballs,fishes and unicorns with with spots and stripes! 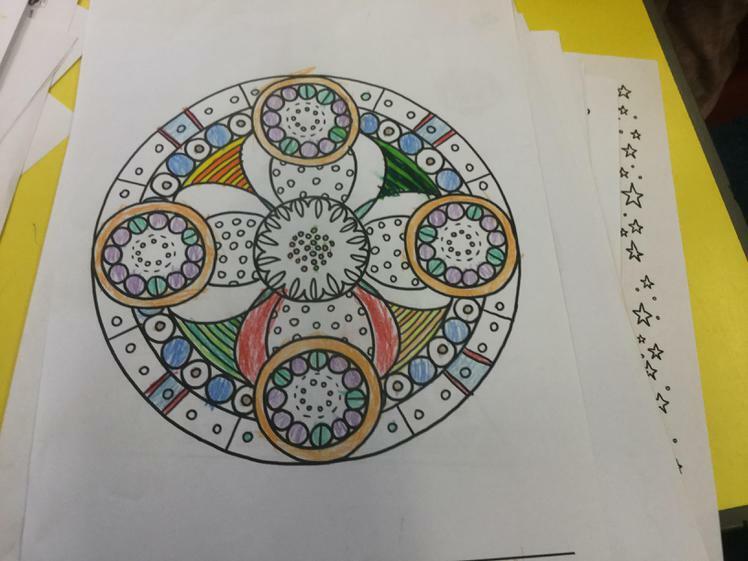 here are the beautiful pieces of art! 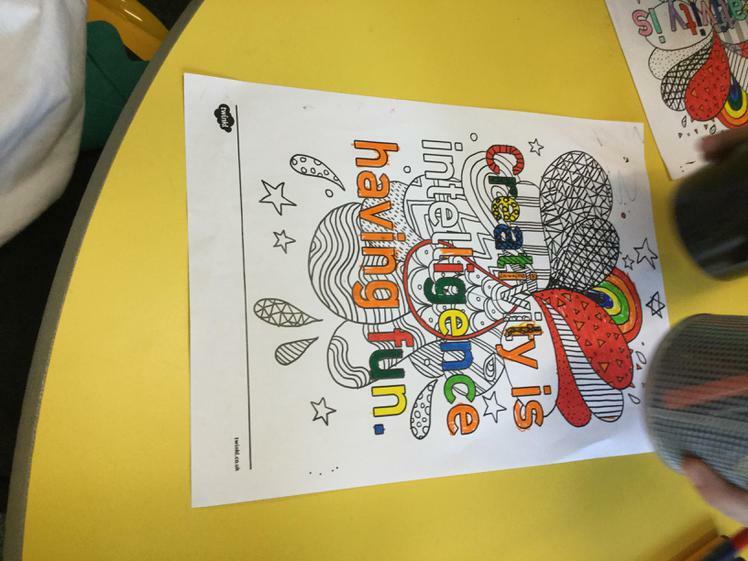 The children love to colour in designs while listening to Disney songs! 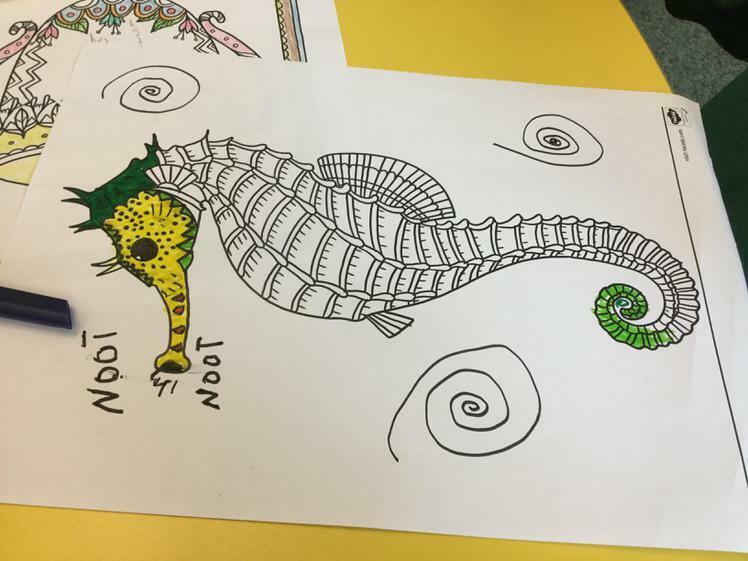 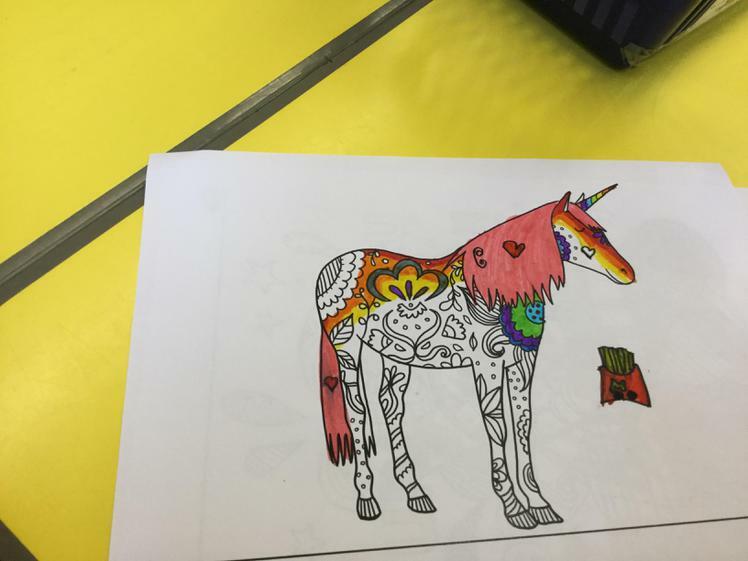 From Stripes to Spots, everyone loves colouring mindfulness! 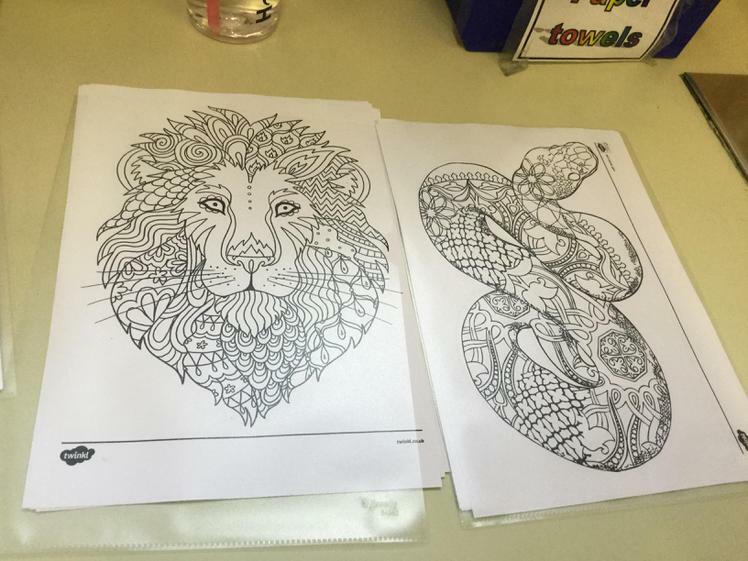 They have their friends to keep them company and talk to, once they've finished they're designs! 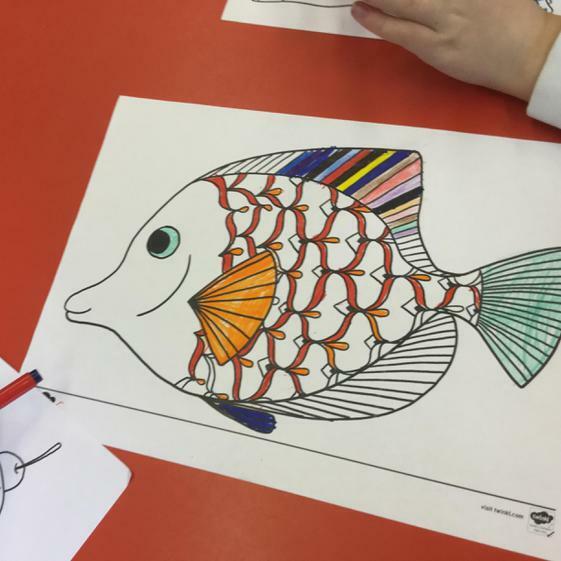 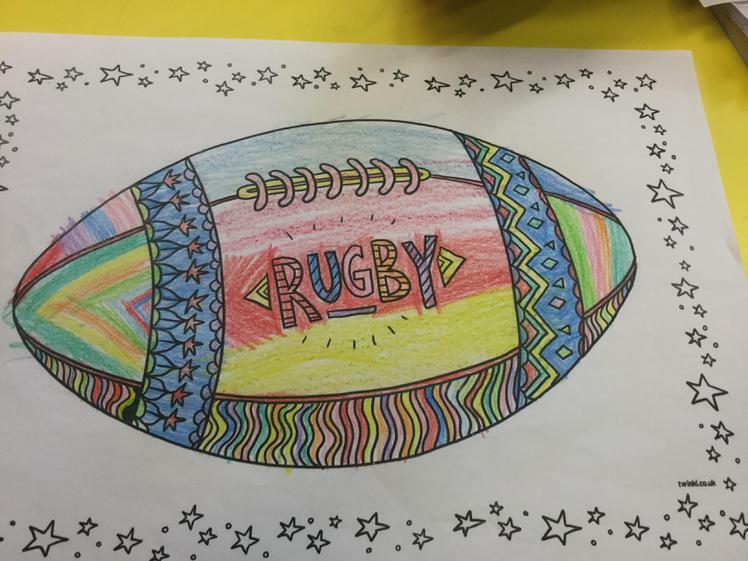 The children colour in different pictures every week and take their colourful art pieces home! 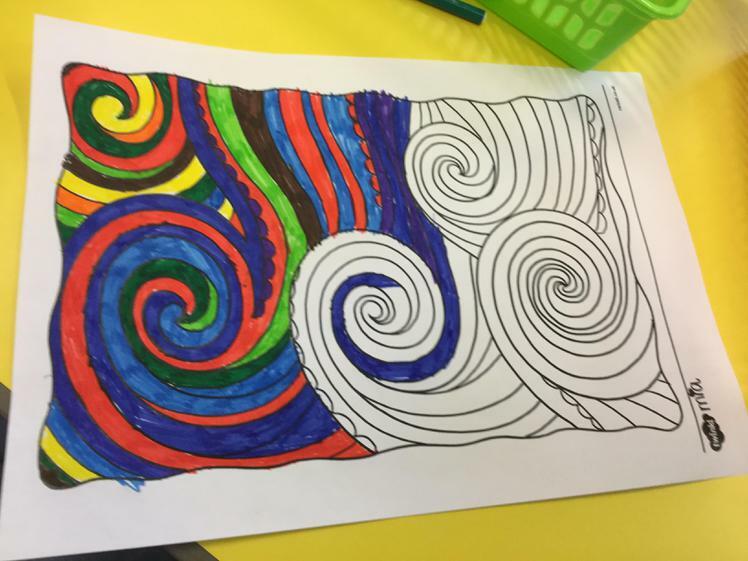 It is wonderful to see all these children using there imagination and thinking 'outside the box'. 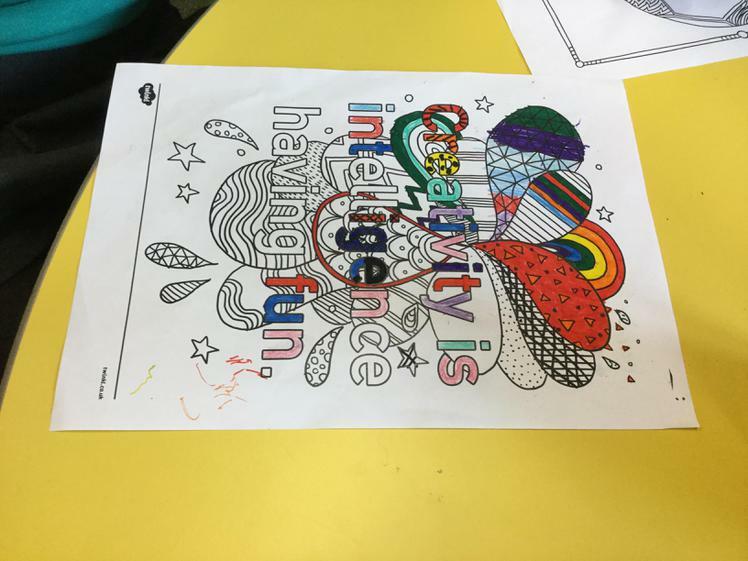 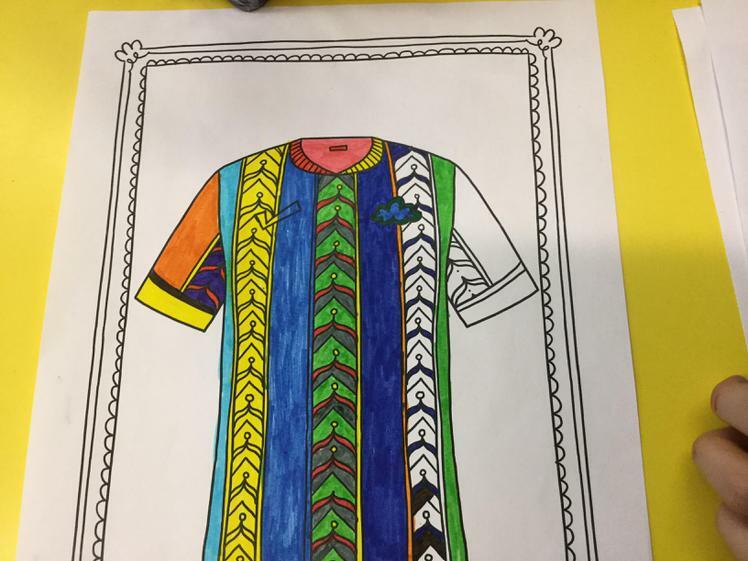 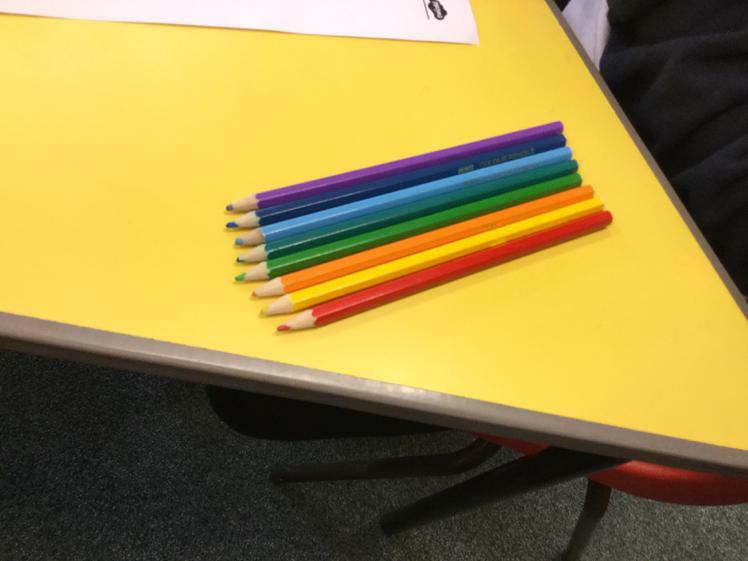 As they like to colour different designs.